Mr Ho Tong Yen is the General Manager of Group Corporate Communications at Keppel Corporation. 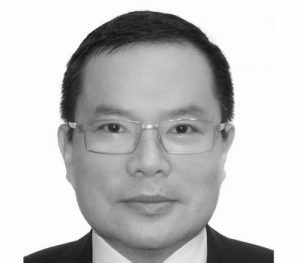 He was previously CEO of the Sino-Singapore Tianjin Eco-City Investment and Development Co Ltd from Jan 2011 to Jun 2015. Before that, he held various positions in the Singapore Government, including Press Secretary to then Senior Minister Goh Chok Tong in the Prime Minister’s Office and concurrently a Director in the Ministry of Foreign Affairs and Ministry of Information, Communications and the Arts. He had also served as a diplomat at the Permanent Mission of Singapore to the United Nations in New York and the Singapore Trade Office in Taipei. Mr Ho has a BSc (Economics) from the London School of Economics and Political Science and a Master in Public Management from the National University of Singapore. He was also a Lee Kuan Yew Fellow at the Kennedy School of Government in Harvard University and a Lien Ying Chow Fellow at the Nanyang Technological University. He is also a Director of Singapore Chinese Orchestra Company Ltd.